I mentioned in a previous post how lucky I am that my mom taught me how to sew, and in my cranky teenage years, no less! She taught me the basics on a machine that is quite similar to the one I use as my primary sewing machine now. Since then, I’ve spent a lot of time poring over sewing books in bookshops and libraries, and investing in the ones I found most helpful. Today I’d like to share some of my favorite sewing books for beginners, although I think many of these are great resources even for more experienced sewers. Update 1/12/19: This continues to be one of my most popular posts, almost six years later! I’ve added a few more of my favorite beginners’ sewing books, to help you learn to sew with the best of ’em! 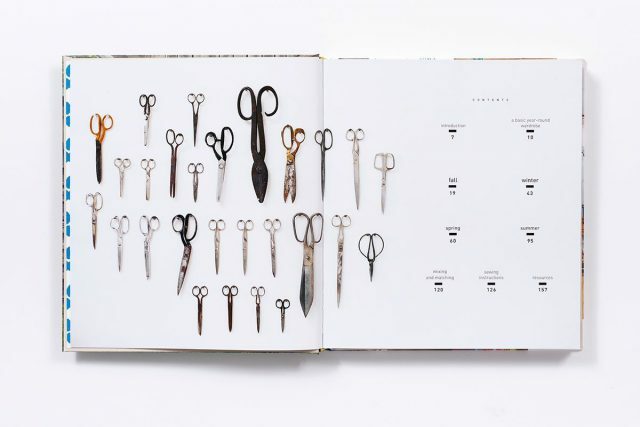 School of Sewing is a beautiful sewing manual that goes through everything you might want to know as a beginner. 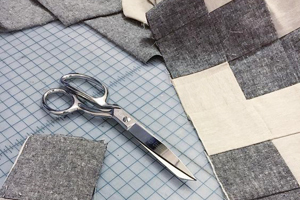 It’s written by Shea Henderson, founder of the Modern Quilt Guild in Kansas City, and that background comes through in her approach to teaching. With each project, you hone your skills as a sewer, and foster a sense of confidence. I loved the photo diagrams in this book; it’s always helpful to have a visual guide when you’re feeling unsure about what you seams should look like. 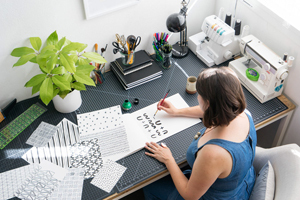 My friend Christine Haynes is a talented seamstress, and teaches sewing classes online, as well as at craft conferences and creative workshops all over the United States. She’s published many wonderful sewing books, but one of my favorites is her reference book How to Speak Fluent Sewing. She defines hundreds of sewing terms, and completely demystifies the process of reading sewing patterns. A great resource for people who want to get into sewing their own garments! 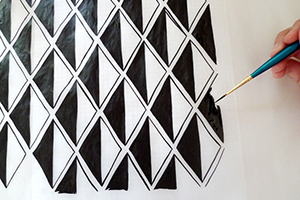 The Geometry of Hand-Sewing is a great resource for anyone interested in getting started without a sewing machine. 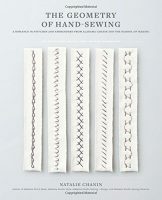 Natalie Chanin is world-renowned for her skills as a hand sewer, and this book is an excellent guide to the unique artform of sewing by hand. Handwork is a skill that can take a long time to develop and refine, but the results are beautifully handmade. A great complement to her other sewing books, Alabama Studio Style and Alabama Studio Sewing Patterns. Heavy-Duty Sewing by Anton Sandqvist is a great starting point for sewists who want to make uber-practical bags and heavy duty gear. Sewing with heavyweight fabrics is notoriously tricky, so let this expert bag maker guide you as you learn to sew with things like canvas and leather. No crazy machinery necessary, just patience and a careful approach. 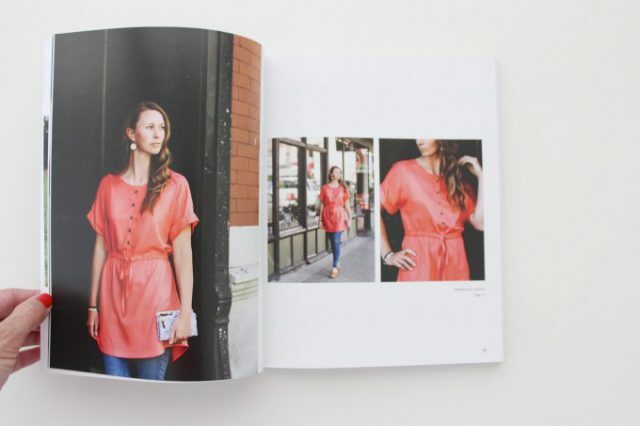 Everyday Style by Lotta Jansdotter, and her book, Simple Sewing, are perfect for beginners. 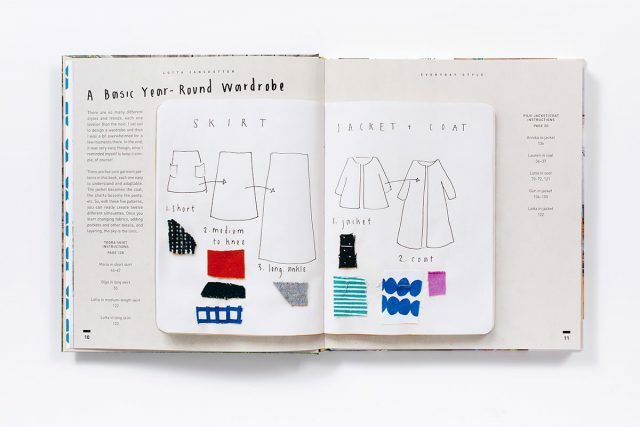 The sewing projects that she outlines in her book are anything but boring, and Everyday Style is a great place to start your journey into building a handmade wardrobe. Lotta has a way of highlighting simple projects that let the fabric and pattern shine. 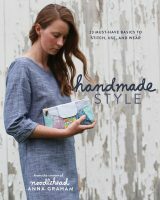 Handmade Style: 23 Must-Have Basics to Stitch, Use, and Wear is a book from Noodlehead‘s expert pattern designer Anna Graham, and it’s filled with simple projects that are super stylish. The tote bag pattern from this book is at the top of my DIY to-do list. 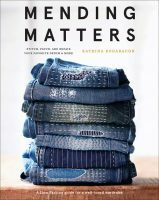 Katrina Rodabough’s Mending Matters is a much-needed book for our fast-fashion culture. 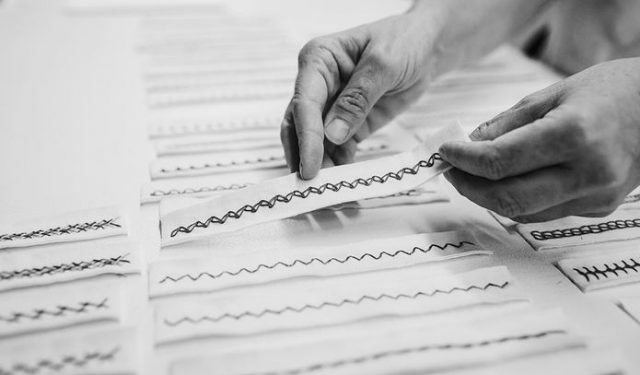 Visible mending is having a big moment right now, and I love this artistic approach to sustainability. 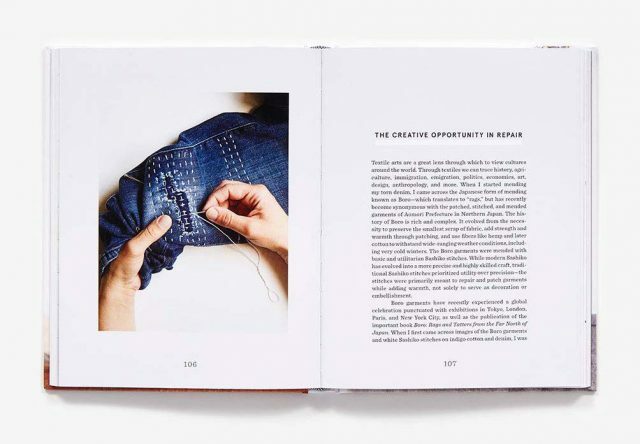 Pick up this book to lean more about how to mend your clothing in style. Make + Mend by Jessica Marquez is another great book about creative mending techniques, and covers lots of DIY projects that walk you through traditional Sashiko mending techniques. 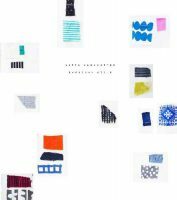 Encyclopedia of Sewing and Fabric Crafts by Martha Stewart is a great resource. I don’t even really need to say that, do I? It’s Martha, of course she’s the go to resource for anything crafty. 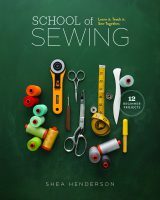 In case you need convincing: the book goes over the basics of identifying fabric and thread, walks you through the most essential hand stitching techniques, and then introduces you to all the parts of your sewing machine and how to use it without accidentally sewing through a finger. Between the straightforward tutorials and the 150 projects to try, I’d say this book is a useful one to keep around. Sew U by Wendy Mullin was actually the first sewing book I ever bought, back in 2006 when I had the urge to start sewing all my own clothes. Since then, she’s published a range of other books about sewing clothing, but I find this first one to be most helpful for a beginner. Sew U really does a great job teaching you the foundations of sewing clothing – how to choose fabric for a project, what tools you’ll need, how to shape a pattern for your unique body type, and so on. The Colette Sewing Handbook by Sarai Mitnick is new to me, but it’s an incredibly popular resource for sewing your own wardrobe. 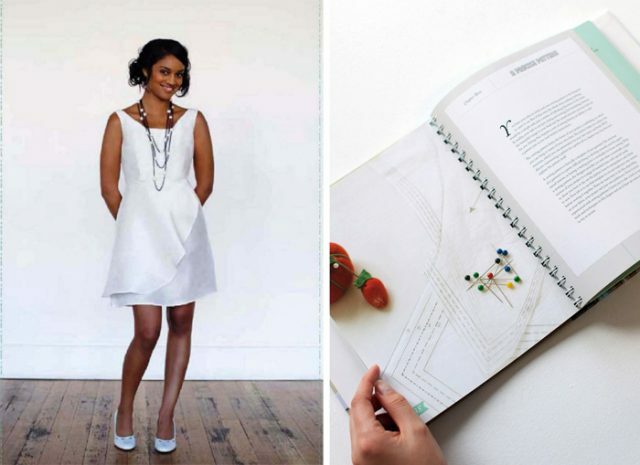 This book comes with five original patterns from their super-cute, modern pattern collection, and all the tips and tricks you’ll need to get started sewing your own clothing. Bend-the-Rules Sewing by Amy Karol is approachable and fun, I used to love reading her DIY blog Angry Chicken! Zakka Style by Rashida Coleman Hale offers projects simple enough for beginners to tackle, and beautiful enough to be worth holding onto. The problem with many beginners’ sewing books is that the projects are so simple, they are almost like throwaway projects. My favorite simple project from this book is the sewing kit, such a great way to get started! More sewing inspiration: Simple sewing projects, and where I shop for beautiful fabrics. *Please note: I may receive a small commission for purchases made through links in this post. I only share resources that I find very helpful, and this helps to keep the blog going!